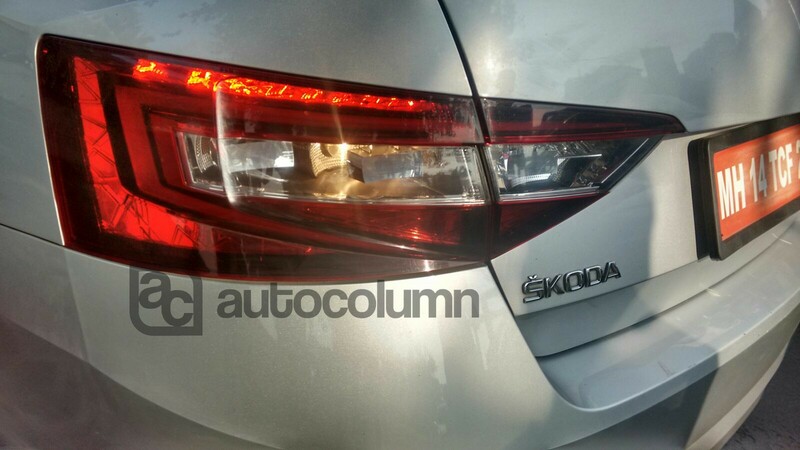 Team AutoColumn’s scoopmeister spotted 2016 Skoda Superb in Mumbai. The car was doing testing rounds in Marine drive with mannequins loaded for representing weight. 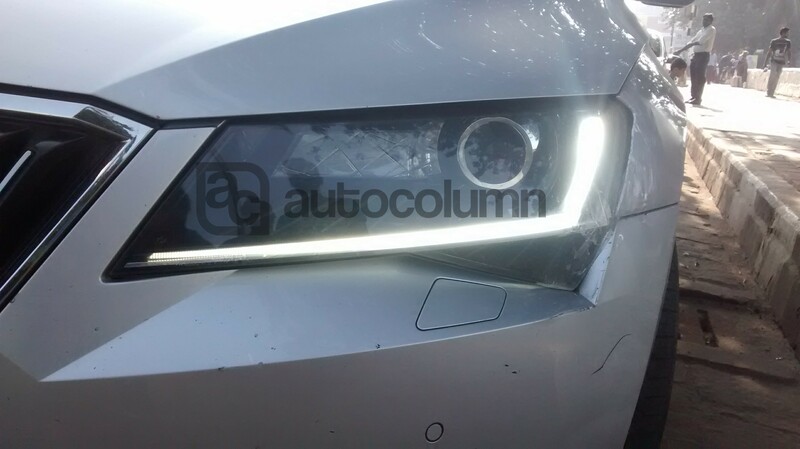 2016 Skoda Superb launch is due since last year. 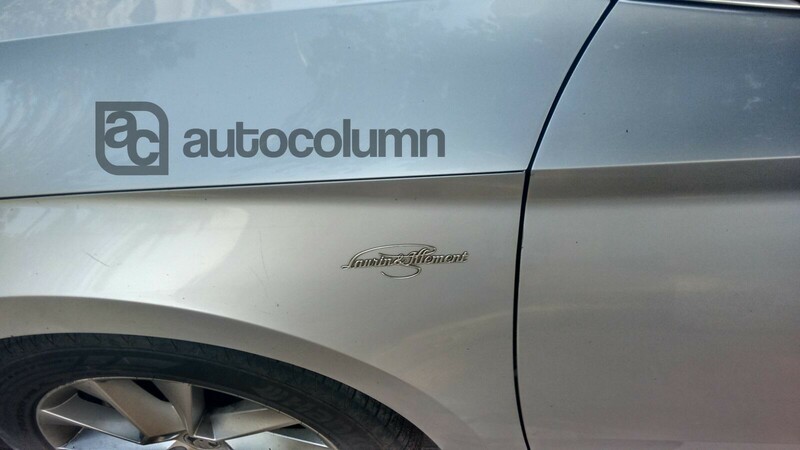 The car will launch in an upcoming auto expo in Feb 2016. [Edit][The car is expected to launch in first quarter of 2016. 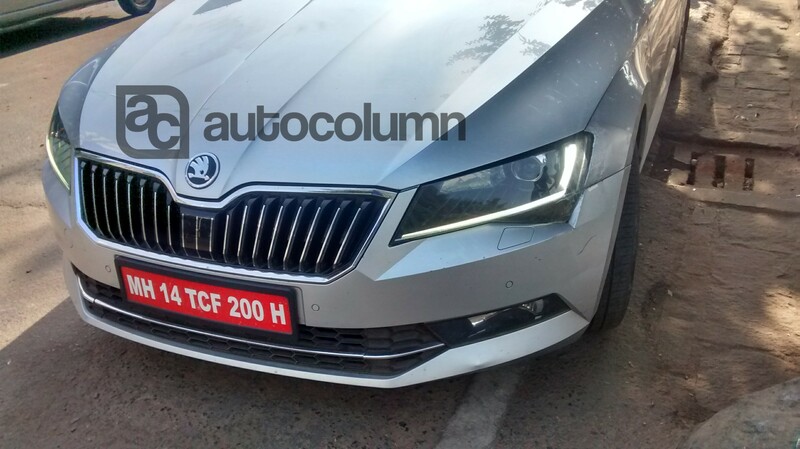 As Skoda India is not participating in 2016 Auto Expo, the new Superb launch is due till first quarter of 2016.] The new car builds on the MQB platform of the second-generation car which stood out for its segment-defying rear legroom. The new Superb is wider and has an even longer wheelbase. 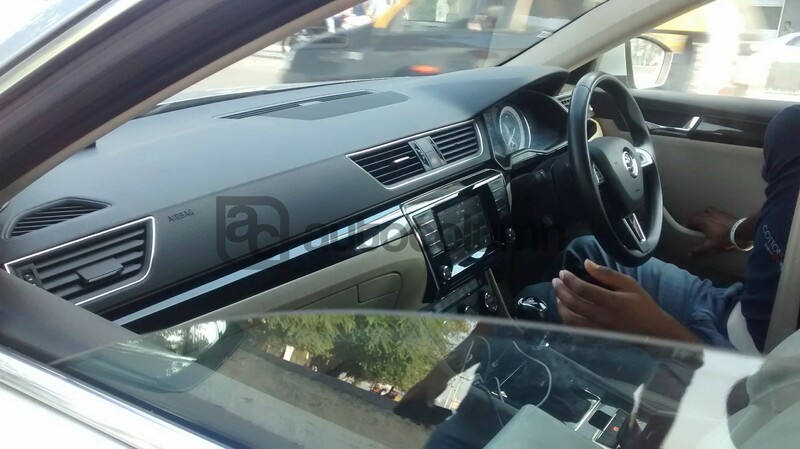 The car features all new headlamp cluster, new dashboard and upgraded tail lamp. 2016 Superb gets more sharper body lines and its rich in its comfort and also 75kg lighter than its outgoing model. Under the hood the car will get 1.8 liter petrol engine that pumps 158 bhp and the 2 liter diesel motor pumps 140 bhp. Both the engines are mated to 6 speed manual / 7 speed DSG transmission. Mechanically the car is improved and gets everything that is offered in Audi A4. The car also gets 3 driving models that includes comfort, normal and sports mode. The model spotted here came equipped with a large 8.0-in touchscreen which was bright, responsive and easy to navigate. The test car was Laurin and Klement’s upmarket trim is top of the line variant. The luxuries on these are bi-xenon headlights, an electronic tailgate, leather heated seats, keyless entry and the even larger 8.0-in touchscreen system. The 2016 Superb price will be in the range of 21 to 27 lakhs in India. As the car will come to Indian market by CKD route it is expected to be priced 10-15% more than the outgoing model.